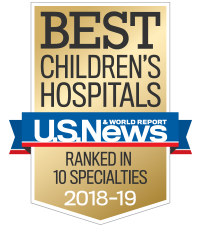 Find all the information you need to visit a patient at Children’s. Visitors are welcome at Children’s. If your question is not answered below, please call our operator at 404-785-KIDS (5437). Parents and guardians: 24 hours a day, every day (unless a doctor of nurse says otherwise). All other visitors: 8:30 a.m. to 8:30 p.m., every day. Intensive Care Units (ICU): Same as above, but special instructions apply. Ask staff about complete ICU visiting policies. To maintain the health and safety of our patients, families and visitors, we ask anyone age 18 and older who is entering our hospitals to show a valid photo ID at our security check-in desks. We will be screening all visitors against a variety of sources, including public registries. Acceptable forms of identification include government issued driver’s licenses, state-issued IDs, and passports. After checking in with security, visitors will receive a visitor pass that should be worn at all times while in the hospital. Egleston hospital: The security check-in desk is located in the front lobby across from the information desk, just outside of the gift shop. Scottish Rite hospital: The security check in desk is located in the front lobby. Get permission from a parent or guardian and a nurse. Sign in at the information desk when the end of visiting hours is announced. Show a picture ID to get a visitor’s sticker. Wear the sticker in a visible place at all times. Must be with an adult family member at all times if they are younger than 14 years old. May use the activity centers—such as libraries and gardens—although play rooms on the units are restricted to patients. May attend any special activities with patients. Must be 12 years or older, and free of fever or viral symptoms, to visit during respiratory-illness season (fall and winter). Since flu season varies from year to year, please call the operator at 404-785-KIDS (5437) for more information about when these restrictions are in effect for young visitors. To support a healing environment, smoking and the use of all tobacco products is not permitted at Children’s. This pertains to all indoor and outdoor areas of our campuses. Hospital gift shop and "personal shopper"
For your convenience, you may call any of our gift shops and have a gift delivered directly to a patient. One of our helpful volunteers will help you select a gift over the phone. Your care package will be delivered within 24 hours. We accept Visa and Mastercard. The Gift Shop is located on the first floor near the information desk. You’ll find toys, balloons, snacks, books, magazines and personal care products. The helpful and friendly staff consists of hospital volunteers. Sunday: 11a.m. to 8 p.m. Call 866-568-1235 or 404-785-6178 for more information. Call 866-568-1235 or 404-785-4516 for more information. The Gift Shop is located on the first floor in the cafeteria dining area. You'll find toys, balloons, snacks, books, magazines and personal care products. You can have flowers or gifts delivered to any of our hospitals via an outside vendor like a florist shop. The vendor just needs to check in at the front desk, then a staff person or volunteer will take the gift to the patient’s room. Mail received after a patient has been discharged from the hospital will be forwarded to the patient’s home address. Egleston is located on the Emory University campus at 1405 Clifton Road in Atlanta. If you have questions about parking or other matters, dial the operator: 404-785-KIDS (5437). The hospital has two parking decks, which are open 24 hours a day. The main parking deck is located off Uppergate Drive, and the Emergency Department parking deck is located off Clifton Road. *A 5 Exit Pass allows you to exit five times for $5. It can be purchased with the appropriate validation from the front desk in the main lobby. Families will receive a receipt upon exiting, which they can use each time they enter and exit, up to five times. The pass expires after one year. Cashiers are present at the main parking deck Monday through Friday from 6 a.m. to 9 p.m. and Saturday and Sunday from 9 a.m. to 9 p.m. At the Emergency Department deck, cashiers are available Monday through Friday from 6 a.m. to 11 p.m. and on Saturday and Sunday from 9 a.m. to 9 p.m. An automated system serves the parking decks at all times. The Emergency Department parking deck is for emergency patients only and is not accessible to those visiting inpatients. Families and visitors who are in the emergency room can access the decks directly through the main Emergency Department entrance. Family members in the Emergency Department whose children are admitted for inpatient care must be escorted back to the Emergency Department parking deck. There is no valet parking at Egleston, but valet parking is available next door at the Emory Children’s Center Building on Uppergate Drive. Oversized vehicles should be valet parked at this location. Cost is $5 for Children’s visitors and $8 for non-Children’s parking. There is also valet parking for $8 at the Emory Winship Cancer Institute across the street from Egleston. If the Egleston parking decks are full, visitors can valet park at the Emory Children’s Center Building and the Emory Winship Cancer Institute (see above under “valet service”). Emory University parking also is an option two streets over from the hospital, off Lowergate Drive (maximum parking fee is $8). Hughes Spalding is located in downtown Atlanta at 35 Jesse Hill Jr. Drive SE. Parking at Hughes Spalding is valet only. We don’t recommend parking on the street at meters. Overnight, from 8 p.m. to 7 a.m., self parking is available in the same lot. Valet parking is available from 7 a.m. to 8 p.m. Valet service at Hughes Spalding is free for all patients and $7 for guests and visitors. Turn into the hospital entrance from Coca-Cola Place, and valet will assist you. Scottish Rite is located at 1001 Johnson Ferry Road NE in Atlanta, near Northside Hospital, St. Joseph’s Hospital and Sandy Springs and close to the I-285 perimeter. The hospital has a main parking deck and an additional parking deck for the Medical Office Building at Scottish Rite. You can access the hospital from both decks. You can purchase a parking discount coupon book from the parking booth attendant. With coupons, the cost to park at Scottish Rite is reduced to $1 a day. If you plan on leaving and returning more than once a day, ask the attendant for an in/out pass. Otherwise, you will have to use a coupon each time you leave. These coupons can only be used in the Children’s parking deck, and they do not expire. Enter through the gate of the parking deck. Valet service is available Monday to Friday from 6 a.m. to 8 p.m. for $7 at the Scottish Rite hospital main entrance. At the Emergency Department, free valet service is available 24 hours a day. Free shuttle service is available upon request at the front desk in the main lobby from the main entrance to Meridian Mark Plaza, Day Rehabilitation and the MARTA bus station. There are handicap parking spaces on each floor of the main parking deck. Visitors are encouraged to use the handicap parking spaces on the third floor of the parking deck (the main level of the deck) because they are the closest to the elevator and allow easiest access to the lobby. Vehicles exceeding 6 feet 8 inches must park in a space designated for oversized vehicles. Most minivans and SUVs will fit in the parking deck. There are overhead signs at the deck entrance that will measure whether your vehicle will fit.